The trick to making money from your investment property is to buy well. Now, that sounds like a fairly obvious point but you’d be surprised by how many investors and homebuyers (and all homebuyers should think like investors at the end of the day) pay too much for their properties. Now I’m not suggesting you should buy a cheap property or look for bargains – they’re not that hard to find if you look in secondary markets that are out of favour. 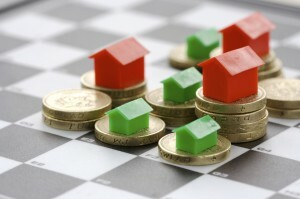 You make your money when you buy your investment property not by buying cheaply, but by buying the right property. However, what I’m suggesting is that while on the one hand you don’t chase bargains in the current property market, on the other hand you shouldn’t overpay. Now I’m not a fan of this strategy as I believe in holding properties for the long-term to realise their full capital growth rather than attempting to read the market and buy near the bottom (which is too hard to pick) or to buy so you can flip your property and make a quick profit. Other investors will try and pick the next hot spot. You know…that suburb they hope will boom, often despite the fact that it’s underperformed in the long term. 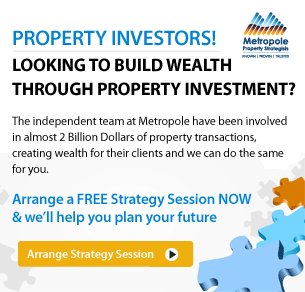 This is a high-risk strategy, and more what I refer to as ‘speculation’ rather than strategic property investment. 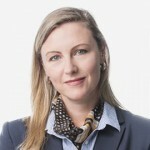 And unfortunately there are those who take the right approach, in that they see property investment as a long-term play and they choose the correct locations – ones with strong track records of growth, but still end up paying too much for their investment thereby foregoing those vital first few years of capital growth. Ignorance is one of the main drivers of overspending. Put simply: if you don’t understand what the “market value” of the property is, then you are more likely to pay too much. So before you purchase a property, you need to have done your homework looking (amongst other things) at what comparable properties have sold for in that area. Don’t look at what the quote range for auctions is as properties frequently end up selling for much more (and occasionally for less) and occasionally much less. Instead take notice of what the properties actually sold for. This information is freely available on the internet these days. Spend a couple of months attending open for inspections to get a real feel for the market. If you don’t have the time to do this on your own, this is where a buyer’s agent comes in handy. They spend their days searching for properties, know the market well and have a solid understanding of what a property is worth. This means they can save you tens of thousands of dollars. Most buyers will inspect a property a couple of times before they make an offer or purchase it at auction, but just how much effort they put into understanding the property is another matter. Ask the agent as much information as possible about the history of the property. Has it been recently re-stumped? Has any work been done on it? You would be surprised what you can find out. Take a look around the property and see if you can find any visible signs of the kind of damage that may prove problematic, such as cracks in the walls that may indicate structural problems. If you’re buying a house consider getting an independent building and pest inspector to compile a report on the property’s condition. All homes have flaws, so don’t be surprised when they’re found, but some are more serious and expensive to fix than others. 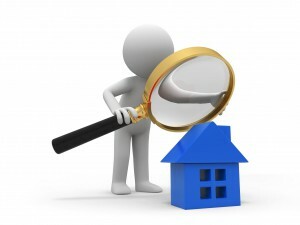 If it is an apartment you are buying make sure your solicitor inspects the body corporate documents. Have there been any recent resolutions at the annual general meeting that would make the body corporate fees more expensive? Is the body corporate a fully functioning entity with the correct insurance in place? Are the proper records being kept? Also make sure you know what type of apartment you are buying: is it strata, stratum or company title? These are all valued differently — company title apartments are worth a lot less than strata, for example — so it is important to know how the apartment ownership is legally structured. Falling in love with a property is also a common misstep. Buyers will walk into the home or apartment and feel like it is exactly what they are looking for. And who can blame them for getting a little excited when, after seemingly endless searches, they stumble across a property they like the look of. There is nothing wrong with getting excited about finding what is potentially your new home, but it is important to keep a sane voice in the back of your head reminding you not to lose sight of due diligence. 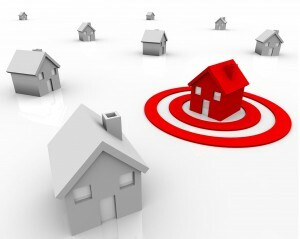 Of course this is even more important when buying an investment property. When we fall in love with a home we are more likely to not see the gaping flaws, such as the fact the home is located on a main road or has bad plumbing. What’s more, if you express how much you love the house in front of the real estate agent you are signaling to him or her that you are an emotional buyer and, therefore, willing to pay top dollar to buy your dream home. Perhaps you have kept your cool throughout the marketing campaign and been careful not to let on to the agent how much you like the property — and then comes auction day and something in you flips. You see the other buyers milling about, hear the agent extolling the property’s many virtues and suddenly you feel determined to buy this property at any cost. The budget goes out the window, and you start bidding with gusto. 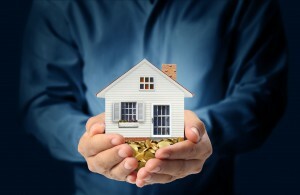 What is a few thousand dollars to secure your dream home or that special investment property, right? Now a few thousand dollars really wouldn’t make a difference in the long run, but I’ve seen naïve buyers pay 15% or more above market value at auction. Unfortunately, this is another version of the emotional purchase. 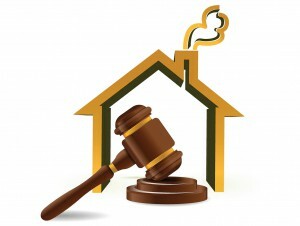 Auctions are designed to elicit emotion — the best auctioneers are great orators and really create a tense atmosphere — but it is up to you to formulate how much you want to spend before the bidding begins and then stick to it. We all know someone who loves auctions. Whether it is the adrenaline, or the high-stakes numbers game that does it for them, these people can’t get enough of a fiercely contested bidding war. If this is you, then either get someone else to do the bidding for you or be firm with yourself: decide on your absolute maximum price and then do not go a dollar over. Some of us are more susceptible to sales speak than others, and no matter how lovely that agent is being, it’s important to remember the golden rule of real estate negotiation: they are being paid by the vendor. Don’t get me wrong, there are many professional agents out there who value friendliness as a necessary professional skill, but do not confuse this with friendship. It is not their job to look after you; it is their job to represent the vendor and their property in the best light. If they are telling you how wonderful the property is, I would not be taking this at face value. Ask an agent to inform you about a property — it’s history, why the owners are selling (if you can find that out) and so on — rather than describing why they think it is so great. Equally, don’t let an agent whom you don’t like very much stop you from buying a property. You should always be professional and measured in all of your real estate dealings as this will ensure you don’t get carried away on a tide of emotion and pay too much for your home. Or even worse: let a decent buy get away. So there you have it- a few things to be wary of to stop you overpaying for your next property.